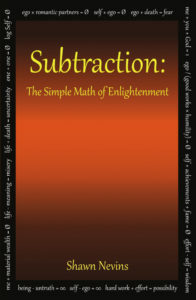 Adyashanti presents a blend of Zen and advaita teachings that’s become relatively popular in the West Coast guru scene. A reader mailed me a DVD of his which I dutifully watched, then put on the shelf. It wasn’t that I didn’t like what I saw — I wasn’t sure of my impression. On one hand, I saw a witty, soft-spoken American with an Indian-sounding name, smiling a lot, pausing for long silences, and talking about how we are already that which we seek. Yet I couldn’t dismiss him outright as I also felt an undercurrent of seriousness and honesty. Many months later, I read two of his books: a collection of poetry and short quotes (My Secret is Silence), and Emptiness Dancing, a collection of transcribed talks. You can see a selection of his poems at the Poetry Chaikhana. Some poems were clever and humorous and some were calls to action. It’s not that he wasn’t speaking about the profound. For me, there wasn’t a feeling resonance with the imagery of the poems; none that haunted me with the feeling that truth was close. Self-inquiry is a spiritually induced form of wintertime. It’s not about looking for a right answer so much as stripping away and letting you see what is not necessary, what you can do without, what you are without your leaves. I suggest you ask, “What’s ultimately behind this set of eyes?” Turn around to see what is looking. The me I know myself as, my personality, is toast. The best thing that human beings can do for themselves is to always be absolutely, totally, and completely coming from an honesty with themselves, a total internal integrity. It is so important to be more hooked on the truth than on wanting to get rid of identity. Asking, “What is the Truth?” is a demolition project. Most of spirituality is a construction project. We’re ascending and ascending…. It just keeps building, and a person feels, “I’m getting better and better.” But enlightenment is a demolition project. We do not want to see that there is a gaping void at the center of our existence. Many people ask, “How do I integrate my spirituality into everyday life?” You don’t. You can’t. How could you integrate it? You can’t stuff the infinite into your limited life. What did I not like? He is not consistent in describing the goal. In one talk, he describes three levels of realization: the head, the heart, and the gut. Yet in other talks, he seems to be encouraging people toward lesser experiences. He tells people to “just be.” Encourages being aware of the five senses to “open to the whole.” Equates relaxing into the moment with one’s true nature. However, he says when the undivided state occurs, two things may happen: awakening to our true nature, or arising of our old conditioning. I must point out, though, that I was reading a collection of excerpts from talks, and that may explain the confusion. Get rid of all of your illusions and what’s left is the truth. You don’t find truth as much as you stumble upon it when you have cast away your illusions. So if you want to find out how openness relates to each moment, just go inside. Be that openness. Be that emptiness. Can we judge the teacher by those he encourages to teach on their own? Jon Bernie’s Teachings are unimpressive. He seems to propose a path of ever increasing ease — relaxing our way into enlightenment. We hear the siren call to stop, just be present, be here, be awareness, ta-da tadum. If I hear one more teacher talk about flowers opening…. Here’s a list of those Adyashanti has invited to teach. Despite this, I award Adyashanti three stars — because I think if I sat down with him at the kitchen table as a struggling seeker, meeting him would help. There is helpful material in his books. I worry about his ever increasing organization and the lack of “quality control” of disciples. A flickering candle, a vase of flowers — pink and white, a clear glass of water and an empty chair; nearly 150 people waiting, many straight-backed, eyes closed in meditation, a few hushed exchanges; the auditorium haltingly grows quieter as we edge towards 4:00. At precisely 3:55, a soft-spoken bald guy dressed in the California satsang uniform (sandals, long pants, and a shirt with just a hint of Indian influence) stepped to the microphone. He laid out the rules for the afternoon. Besides the usual request to turn off cellphones, we were told the event would begin with 15 minutes of silence, to avoid wearing scented products at future meetings, and to remain seated until Adya leaves the hall. At exactly 4:00, Adyashanti silently walked on stage, took the chair, and closed his eyes. Maybe it’s the lighting, but he looks a good ten years older than the photographs on his website. He also looks very fit; dressed in a coarse grey shirt with long brown pants, he appears to have just returned from a rousing hike in Marin. He’s the embodiment of Northern California…. There is much about this that doesn’t appeal to me. There is too much stage craft and formality and I keep multiplying the $10 I paid to get in times the 150 people in the room…. I turn from these thoughts to the feeling in the room. It’s quiet, with the underlying energy of a room full of people sitting quietly, but that’s all I feel. I don’t sense any extra-ordinary Adya vibe filling the space. 4:14 and Adyashanti begins to talk. For quite a while, he speaks about the appearance of difference between things. Differences cause suffering, though fundamentally all are aspects of life. I am unimpressed and actually start to get drowsy, then the talk dives deeper. “The fundamental division is ‘me.’ The vast majority don’t want to look at that ‘me,'” he says. My mind perks up at this comment. “Spiritual inquiry is ‘what is this thing called me? '” I wonder how many in the audience are willing to ask the question he poses. At 5:33, he stops for questions. His answers display a remarkable ability to encourage people at whatever point they find themselves: speaking of serious matters in an uncompromising yet inviting manner. One woman describes how she came to the edge of a seeming cliff in meditation and turned away from it. She is now afraid to meditate. Adya replies that the cliff is waiting for her and she will eventually come to it. Just a step is all that is needed; not a swan dive or plunge, just a step. He is reassuring yet direct. Q: How do I let go? A: You can’t, you won’t, you don’t. I was pleasantly surprised to find the talk ran over about ten minutes. Overall, a good two hours. He’s a star for sure (women literally let out hushed moans and whispered “gorgeous” as he spoke), and I don’t know what it would take (money, influence, persistence?) to sit down with him one-on-one or in a small group. I wonder if he ever comes down from the stage and mingles with the students…. Thank you for sharing your impressions of Adyashanti, and getting to the root of the problem: “Knowing” versus believing. I suspect sarcasm at play, by the author of the above review, regarding the comment about scientific evidence. To bring some balance, I assert an understanding of what Claudiu is communicating, and do concur to an extent-to an extent. This: “There’s a great difference between transcendence of ego and death of ego.” is important to recognise that maybe, possibly, just maybe, one persona of the current 7 billion fragments currently incarnate, can/will/has/does succeed with the death of the ego. The thousands of gurus and spiritual teachers that we see today are of the former kind, transcendence of the ego. The ego can be suppressed and trained in such a way that it can appear dead and the teacher can appear enlightened, however, even a dormant and tamed ego is still alive and kicking, rattling around like a small coin in a large drum, too quiet to be noticed by those looking at the empty drum. If we pursue enlightenment, we will fail, if this is our goal – because if it was so easy we’d have all been doing it hundreds of years ago before our egos were supercharged like they are today, before our education, government and medicine systems were so damaging to the psyche and designed to encourage egoic dominance, with all the distractions of internet and television, and all the electrical disturbances and frequency damage, the diets we eat, the way we sleep… if enlightenment was possible for one person alive on the planet at one time, thousands of years ago, then in todays realm, probably a lot less chance of that, if not impossible/improbable. To counteract another bout of sarcasm, there is a scientific 3.8% likelihood of true death of the ego in todays world. Myself, cannot bring myself to refer to myself as the capital birth name as who I am…. unlike these guys “Gregg Braden, Deepak Chopra” for if I was to see myself as such a label, I would no longer be me. This is where the line is drawn to the extent of the above comment made, if they were true fragments of mastery they’d not be able to use such names, for they would feel like a liar and a fraud if they did, because they would be. This is why the buddha was The Buddha and the christ was The Christ – they were not the given names and any identification with that is distortion from truth. Adya seems to have done this, transcended ego, being unable to identify with the birth given name as the id-entity. But was this because one ‘knows’ the meaning of such a teaching, or, because one ‘believes’ the meaning of such a teaching? In my own case I simply cannot do it, it hurts, it feels like, feels like, tightly wringing a soft balloon full of water like it is a wet towel, thats how it feels. Claudiu, I’m very curious of the soul vibration evaluation you are able to do. Can you e-mail me? I’d love to have a couple people evaluated. According to him the world conciousness is at 207, but the USA is at 421 (not far away from enlightenment). George W. Bush at 460 and Gangaji at 475. He measured his own book and – big surprise, listen carefully – it was at 980!!! Needless to say, without invlovement of any ego. Ha ha!! Surely this is a joke, if so, pretty funny…if not, backing slowly away from the lunatic. The above comment was directed to Claudiu, but ditto for David Hawkins, who I’ve met and can assure you is a nincompoop. 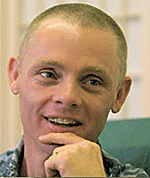 I have seen Adyashanti in a one day intensive and really received what I consider to be a powerful transmission. It was very uncomfortable for days afterwards, but my life really moved after that towards what I wanted-which was to discover and experience the truth. When I look back I can’t find any other influence that would have done that. But I did stand up at the microphone and ask him directly for transmission. Everyone in the church laughed, and I wondered if I was being foolish, but I got what I asked for. Among all the spiritual teachers I have surveyed (close to 30), I find Adyashanti to be most relatable. He isn’t talking garden variety feel good spirituality – there is constant mention of how it doesn’t always feel pleasant and nice – but his basic teaching does make enlightenement seem like a worthy pursuit for ordinary spiritually inclined people. I credit him with deftly avoiding the extreme positions in contemporay spiritual teachings : “there is nothing to be done” (Neo Advaita of the Tony Parsons variety), “you have to put everything on the line ” (Richard Rose, Jed McKenna), “just live in the now” (Tolle etc), “this has nothing to do with peace or happiness” (Rose,McKenna, UG Krishnamurti..), “this is everlasting bliss & love” ( too many to name ! ), while containing elements of all those streams of thought. Most important, his realization seems genuine and his personality is pleasant, without seeming fake and showy. OMG, Sadhguru, Gregg Braden, Deepak Chopra??? You are way off base!